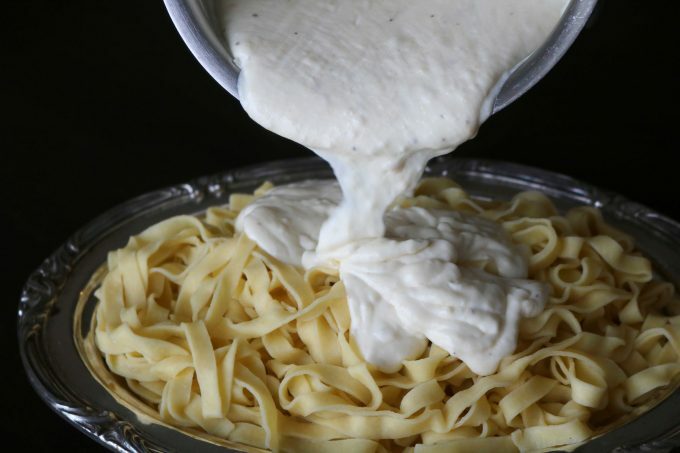 A recipe for simple, homemade fettuccini alfredo sauce made with cream and fresh Parmesan. A comforting quick-fix dinner idea. My grandmother’s cooking inspired me. Food was her love language, and she spoke it loud and clear. When we would come to visit, she would gladly make us whatever it was our little heart’s desired on any given day. Grandmothers are just wonderful that way. 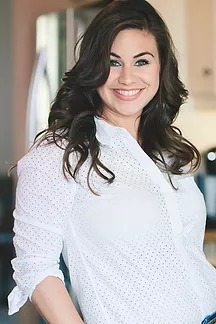 When I was in high school, I often visited her, and by that time, she had slowed down tremendously in the cooking department. From time to time, I would come over with a bag of groceries and do my best to speak her language. One of the first meals I ever made for my grandmother was fettuccini alfredo. I loved the stuff, and prior to spotting a jar of alfredo on the grocery store shelf, it had only ever been a restaurant treat. At that time, I honestly had no idea what an alfredo sauce actually consisted of, only that it was delicious over fettuccini, and was particularly enjoyable topped with shrimp. 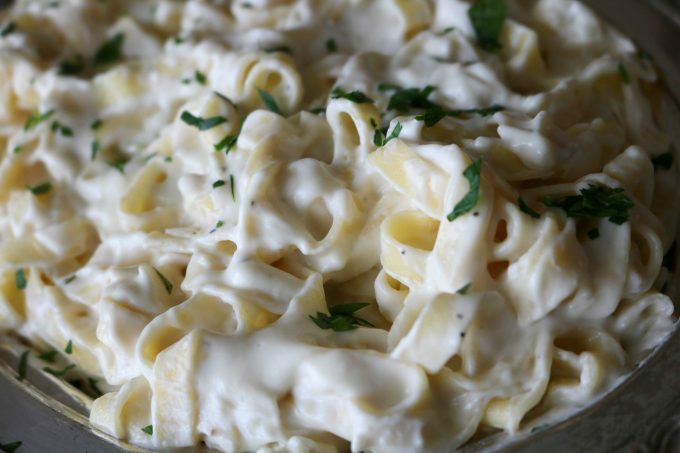 You wouldn’t believe the praises sung the day I made my grandmother and family fettuccini alfredo from a jar, but it seemed I had become quite fluent in her love language, and it would soon become my native tongue. And, while it might not have been the most gourmet meal she had ever had, she most definitely felt the love. As the years went on, I became more and more interested in food, and making meals from scratch (just as my grandmother had always done) was by far my favorite past-time, and to this day, recreating the meals of my youth brings a great deal of happiness to my heart. The fettuccini I was whipping up in high school doesn’t much hold a candle to the made-from-scratch version you’ll find here. Real ingredients make all the difference in the world, and these ingredients are real good. Not necessarily real healthy, but delicious nonetheless. Everything in moderation, as they say. 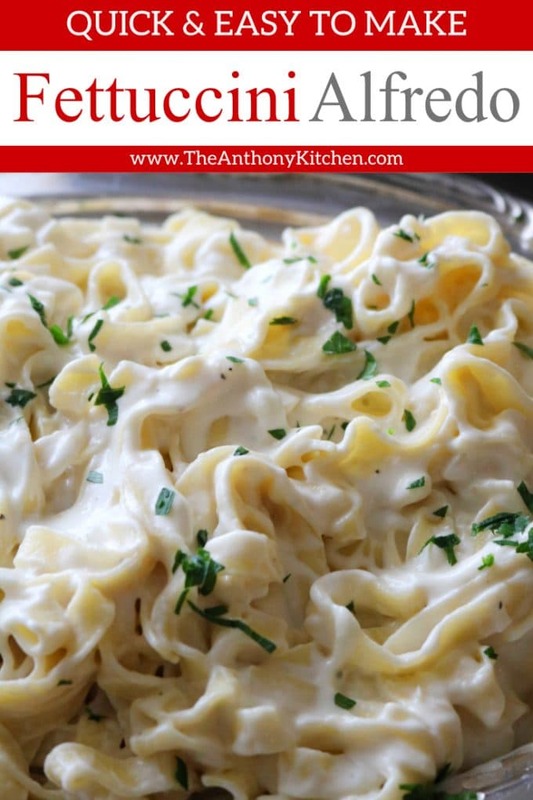 Alfredo sauce is really a very simple sauce and doesn’t require many ingredients. 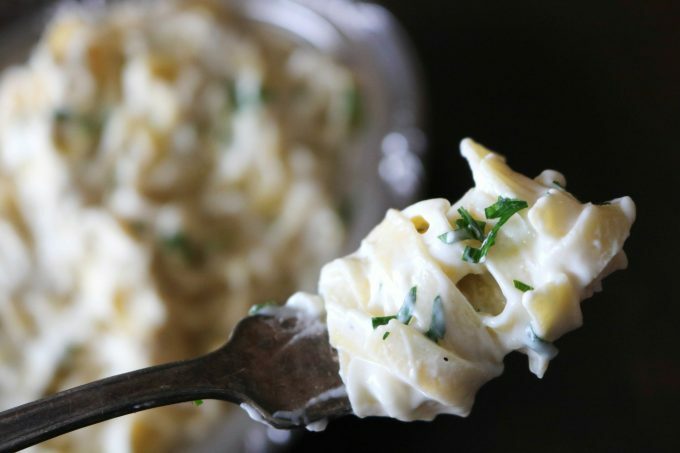 Traditional alfredo sauce typically calls for butter, garlic, half-and-half and/or cream, as well as parmesan cheese. However, I prefer a thicker alfredo, one that is just creamy enough to perfectly coat a noodle. 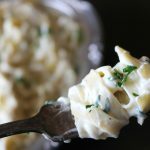 I found that by adding just a small amount of flour to the oil and garlic before adding in the dairy (essentially creating a roux), makes for a perfectly thick and creamy alfredo sauce. Alfredo sauce is made on the stovetop, and begins with a small amount of oil in the pan over medium-low heat, as to not burn the garlic. The chopped garlic goes in, and is sautéed until softened. Then, the flour is sprinkled over. A combination of warm half-and-half and a little cream, go in one big splash at a time and is thoroughly whisked after each addition. Once the cream is fully incorporated, the mixture is left to simmer and thicken. A hefty serving of Parmesan cheese is added and the alfredo is ready to be served! My favorite way to serve alfredo is over fresh fettuccini noodles, typically found near the deli cheeses at the grocery store. From time to time, I’ll top it off with slices of my perfectly cooked chicken breasts, and if I’m feeling extra nostalgic, shrimp. Please, enjoy. LOOKING FOR MORE GLOBAL INSPIRATION? 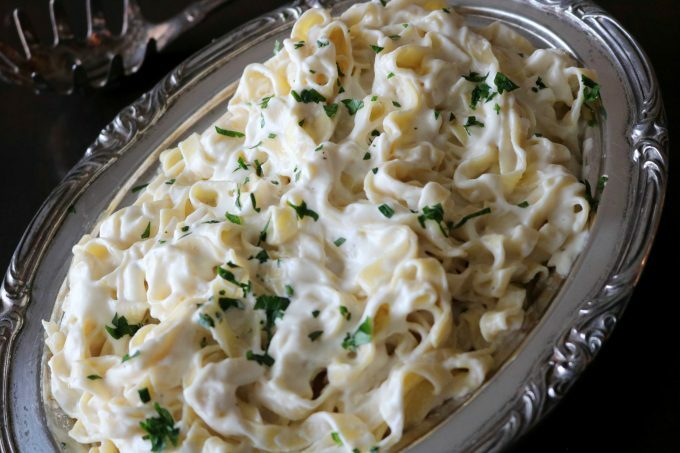 A recipe for simple, homemade fettuccini alfredo sauce made with cream and fresh Parmesan. Bring a large pot of salted water to a roaring boil over high heat. Add the fettuccini and cook according to package directions. In a large saute pan over medium-low heat, melt the butter and add garlic. Saute for 1-2 minutes. Sprinkle flour over the garlic and stir until coated. Increase heat to medium and begin to add the half and half a splash at a time, stirring after each addition. Once the mixture is the consistency of a thick pudding, stream in the remaining half and half, as well as the cream. Allow to simmer 6-8 minutes, stirring occasionally until slightly thickened. Stir in Parmesan, salt, and pepper. Serve the alfredo over the pasta, and top with an extra sprinkle of Parmesan cheese, if desired. Holy moly, I’m drooling over every bite of those noodles! I swear I was reading my own history about using the jarred alfredo sauce, lol. This sauce looks perfect! I love the memories I have from cooking with my grandma when I was little too! Food is such a wonderful way to bring families together…. we love Alfredo on ANYTHING! I’ll definitely be making this while we watch the games over the next two weeks! Thank you, Michele! I agree! I’ve got my little ones in the kitchen with me often 😉 My little trainees! I hope you enjoy the past. Thanks again!